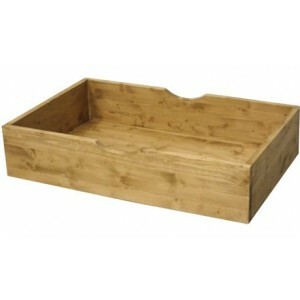 Beds, chests of drawers, bedside tables and wardrobes. 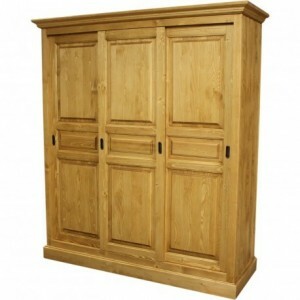 You will find in the Bedroom category all mountain furniture in order to fit out your bedroom. From a wide collection of products, you will be able to find the collection which will melt your heart. 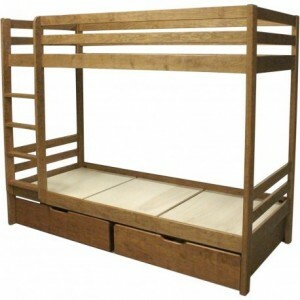 Alpine bunk beds, bed heads, or whole beds with drawers. Choose the bedding which corresponds to your interiors and which will enhance your bedroom. If you are particularly interested in a bed, go to its product sheet and click on its collection: Lecoinmontagne groups together for you all furniture with the same finish. So just like that, everything that you will put in your bedroom will be granted. Isn’t a bed without a bed base or mattress less practical for sleeping? 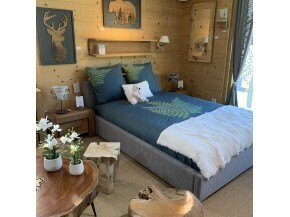 Come and look at our Bedding category: you will find here a wide choice of mattresses, slatted bed bases, made in France near Voiron, with an excellent price to quality ratio. 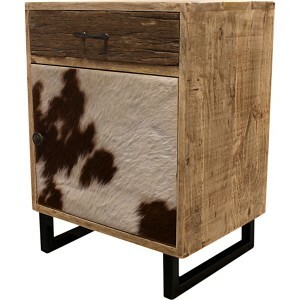 Do not miss any more storage in your apartment in the mountains, with our selection of chests of drawers. In pine or solid teak, with a metal frame or patterns cut in the wood, all our models have been chosen for their robustness and trendy lines. They will find their place in your room or your living room to accommodate all your linen, your clothes and other accessories. 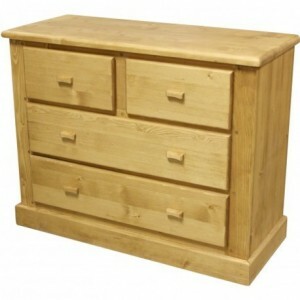 Equipped with three drawers or more, all these chests of mountain tradition combine nicely with a touch of modernity. Welcome to our Bed Section! 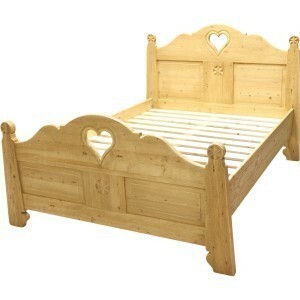 For an alpine and chalet atmosphere in your bedroom! Our different Brushed, Waxed and Oiled finishes, amongst many others, guarantee you a large selection and enable you to customise your bed as you wish. Our under-bed drawers, designed to harmonise with an alpine-style design, offer smart storage space for decluttering small spaces such as children's bedrooms, and are available in different sizes. Find the bedside of your desires for your room in the mountains! 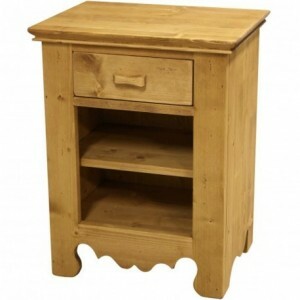 Hearts cut, edelweiss with doors, drawers or niches, browse our selection of bedside tables and find the one that will dress your bed. In waxed or oiled fir, in brushed teak, in oiled oak or in recycled old parquet, all the most beautiful woods are gathered for your room. A favorite for a model and its color, click on its collection and find all the furniture of the same finish. 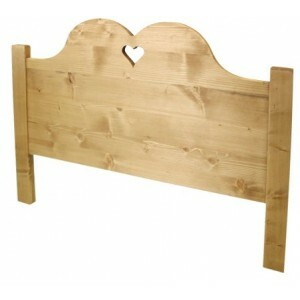 These headboards are made in France and available in different colours. Choose the one that adds that final touch to your chalet bedroom decor! Experience the true rustic feel of a mountain chalet!